Baron Cameron Park’s off-leash dog area remains without noise-reducing fencing more than a month after a storm damaged the fencing material. The sheeting, aimed at reducing noise from the dog park, was put in place more than a year ago. Park officials said last month the fencing material, which was attached to the metal chain link fencing, is being repaired and will be replaced. 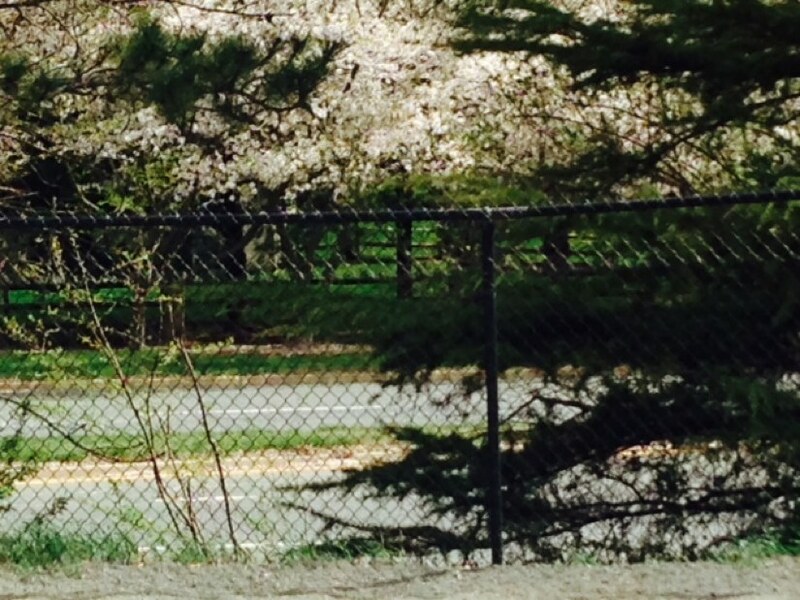 But the timing of the barrier damage and removal could not have been worse as the park and Reston Dogs Inc., the group that operates the dog park, are responding to neighbors who filed a lawsuit in early March complaining about the noise. The residents live in Reston’s Longwood Grove neighborhood, located across Wiehle Avenue from the dog run. The dog park, which is open during daylight hours, is the only off-leash dog run in Reston. There are 100 homes in the Longwood Grove subdivision, but the complaint was brought by seven individuals representing five households. The injunction cites several previous Virginia rulings dealing with the definition of a nuisance. It claims the plaintiffs are likely to suffer “irreparable harm from the dogs barking and fighting in the dog park in the summer of 2014 as this case proceeds” and have no legal remedy other to quiet the noise other than to ask for an injunction to shut down the park. The injunction says that several of the plaintiffs suffer from lack of sleep and extreme stress. Baron Cameron is about to embark on changes in a new master plan process. There are two visions for the improved park, both of which include a dog park. However, one of the plans includes moving the dog area farther into the 68-acre park’s interior in order to make way for a large indoor pool and recreation center and additional parking. At a March 27 community meeting on the Baron Cameron Master Plan, many dog park users spoke in support of keeping the dog park at its current location. However, other citizens made the suggestion that the dog park be moved to Lake Fairfax Park, which has more open space and is farther away from homes.